Whole Body Vibration is a type of exercise using a vibrating base, which delivers a mechanical stimulus characterized by oscillatory motion at approximately 1 to 15 mm rise creating 5 to 50hz or contractions per second throughout the body. WBV exposes the entire body to vibration, as opposed to localized vibration (Biomechanical Stimulation), where an isolated muscle or muscle group is stimulated. WBV enables the user to recruit many more muscles than traditional exercise and trigger other whole-body reactions. Biomechanical parameters include amplitude, frequency, and duration. Vibration training stimulates muscles throughout the entire body much more effectively than traditional exercise and activity. WBV causes involuntary muscle contractions at 1 to 50 times per second compared to once or twice per second through traditional exercise, thereby recruiting both fast and slow twitch muscle fibers during a vibration session. This stimulation creates significantly increased blood-flow with an improvement of transport for oxygen, carbon dioxide, vitality components (micro-nutrients), energy components (macro-nutrients), toxins and waste (i.e. lactic acid) all the way down to the cellular level. 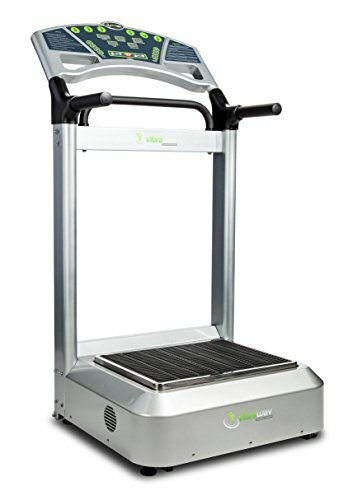 Harnessing the power of Whole Body Vibration, VibraWav developed the lowest cost, highest value vibration platforms available today. Vibration is a quicker, safer and more effective method of putting the human body in an ideal health state where it recovers and heals much quicker than other methods used by traditional health and wellness providers. VibraWav provides better results in just 10 minutes than you receive from 60 minutes of traditional exercise. Through vibration 100% of the muscle fiber is being stimulated versus approximately 40% in the same non-vibration exercise. It takes 8 to 10 months of traditional exercise to accomplish the same results that take only 1 month with vibration. Vibration does almost all the work for you. If you have any questions about this product by VibraWav, contact us by completing and submitting the form below. If you are looking for a specif part number, please include it with your message.